Timeless desk with a poetic idiom and a neat little drawer. With its pure and classic design, Rúna creates a space around itself and boosts your entire interior design whether the desk is placed in a living room with stucco-ceiling or in a modern office. 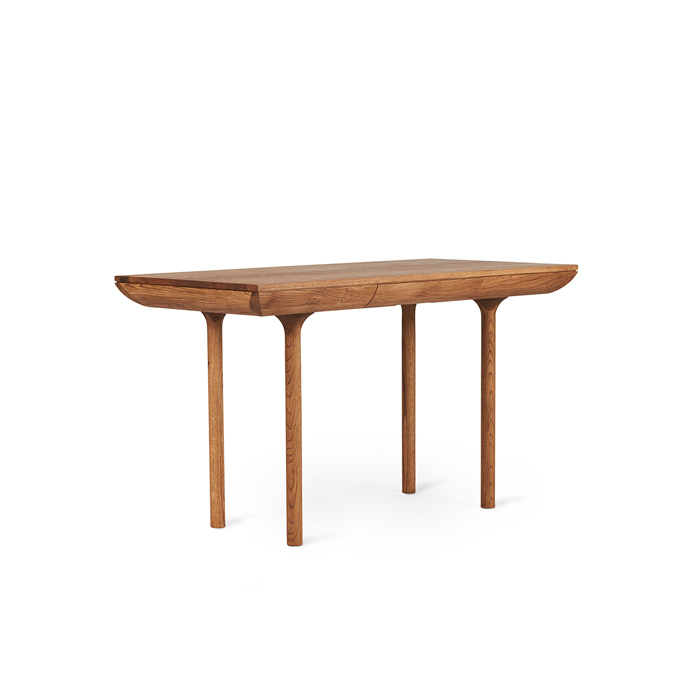 The Rúna table can also be used as a dining table if the dining space is limited. The elegant desk drawer can be used to keep office supplies, paper and letters as well as place mats and napkins. 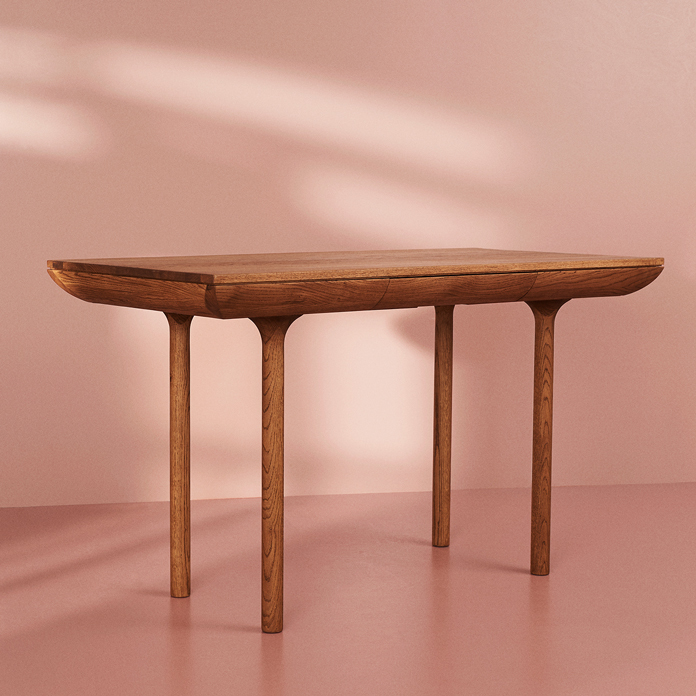 The talented Danish designer Isabel Ahm found inspiration for the table in the secretive ambience and poetry found in the Nordic forests at dusk; indeed, Rúna shares the same enigmatic trait. 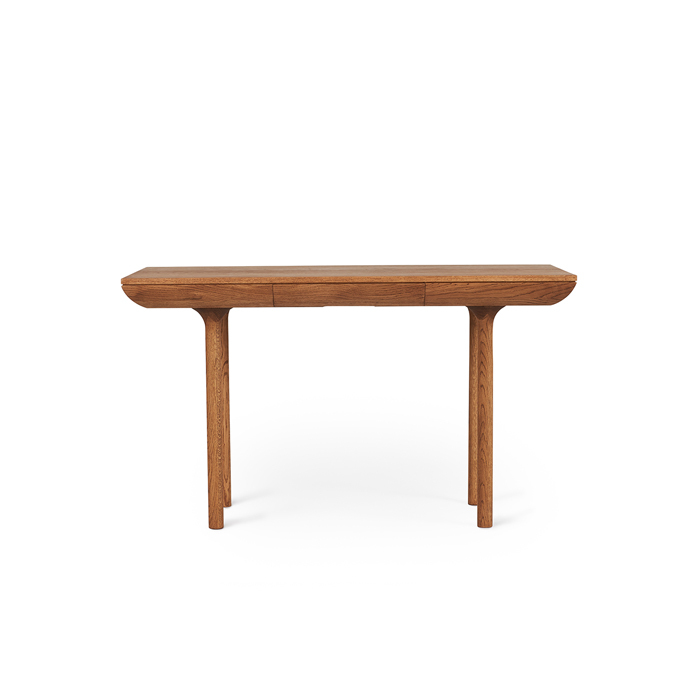 The table is made of dark wood types of the highest quality. Choose between several beautiful, classic finishes. Rúna means a mix of whispering, advice and secrecy in Old Norse. The design is reminiscent of the past, not least the classic aesthetics and love of wood of the 1950s. With Rúna, Isabel Ahm also addresses a current – and future – need to surround ourselves with high-quality and highly functionalist expressive furniture. This range by Isabel Ahm also includes a dining table. A somewhat larger model with room for the large family.